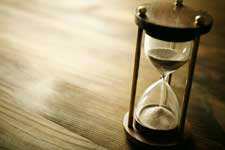 The last thing a construction project needs is a powder-keg: a looming deadline. 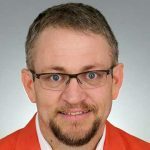 All hands are on deck, but are they on time? If contractors are on time, is the project on budget? Firm answers help to resolve these big questions in all phases and areas of a construction zone. This also applies to flooring installations on concrete. In fact, the safe installation of a flooring product is based on allowing adequate time for the concrete to dry. Due to the diversification of floor covering materials and adhesives, compatibility has become paramount. Manufacturers produce moisture specifications necessary for successfully using their products. Before contractors set foot on the property-to-be, all parties can ensure compatibility compliance across the range of products they use. It’s amazing how many problems can be resolved by checking the simple things first. Aside from quality workmanship, many factors contribute to the management of successfully finished flooring installation on concrete. They include weather, ambient relative humidity (RH) changes, flooring grade, and water to cement ratio of the concrete mix, to name a few. Time is a most influential contributor. Specifically, general contractors (GCs) can check the time allotted for concrete drying upon receipt of project specs. Prior to commencement, GCs can monitor predictions for weather changes that affect RH; changes in RH change concrete drying times. It is crucial for general contractors to keep this in mind as installation approaches. The quicker the building can be fully enclosed and the environmental systems operating, the more conducive it will be for the concrete to dry. However, any successfully finished flooring installation on concrete depends on sufficient time for concrete to dry. Project managers must resist the urge, and pressure, to push that time frame. If they need to wait for concrete moisture levels to drop, general contractors can arm themselves with the best means of monitoring its progress. 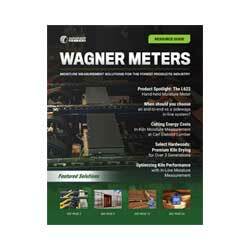 Concrete moisture tests have gone high-tech at Wagner Meters. Concrete contractors implant factory-calibrated probes at strategic points in the slab (at 40% depth to meet ASTM F2170 standards when the slab is drying from one side) to measure the slab’s RH. Wagner’s Rapid RH® features a hand-held meter which produces immediate digital readings. Contractors can cost-effectively survey the moisture conditions across the whole slab until flooring installation decisions have been made. Imagine a concrete construction project with RH testing built into the many phases of its completion. From the blueprint to the final analysis, flooring installation success depends on timely, accurate RH readings. Only then can all players deliver a flawless end result. Builders who possess an understanding of RH, and how to properly read it, will have the moisture content tools they need. 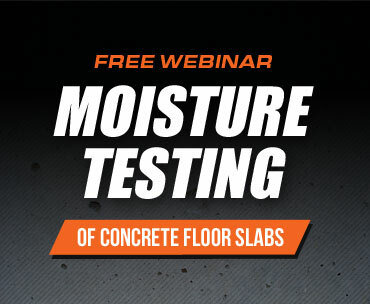 Why Measure Moisture in Old Concrete Floor Slabs?